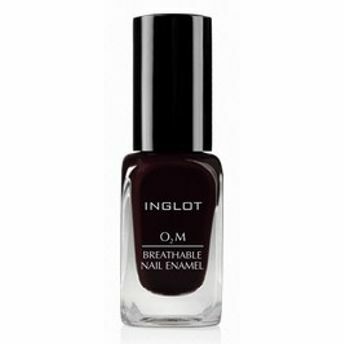 The Inglot O2M Breathable Nail Enamels, created to care for healthy-looking and beautiful nails, revolutionized the cosmetics world. Owing to advanced polymers, this ' breathable' formula allows air and water to pass through the nail plate and keep the nail in the best condition. Long-lasting shine in the diversity of colors for outstanding manicure creations. About the Brand: A wide range of colors and an impressive variety of makeup products is something that makes Inglot Cosmetics stand out of the crowd. Founded over 30 years ago, in Poland, Inglot is one of the world's leading manufacturers of trendy cosmetics and makeup products. Using the latest scientific technology with intense and vibrant colors, the brand brings the latest makeup trends to the market and are loved by makeup enthusiasts across the globe! Explore the entire range of Nail Polish available on Nykaa. Shop more Inglot products here.You can browse through the complete world of Inglot Nail Polish .